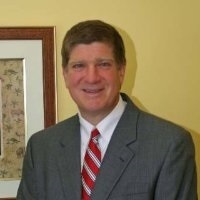 Scott Haynie | Consolidated Planning, Inc.
After graduating from Wake Forest University in 1984, Scott spent 7 years in the financial services industry before joining Consolidated Planning in 1991. A Senior Vice President with Consolidated Planning, Scott is the Managing Partner of CP Winston. Scott's specialty is Retirement and Legacy Planning. His team's vision is to help clients develop and achieve their financial objectives and dreams with a greater degree of economic confidence while enjoying a higher quality of life. Scott and his wife Tina have 3 children, Mary Scott, Susannah, and John. They are active members of First Presbyterian Church in Winston-Salem. In his spare time, Scott enjoys coaching youth sports and playing golf. Registered Representative and Financial Advisor of Park Avenue Securities LLC (PAS).Financial Representative of Guardian.